While most of the financial headlines in the past few months have focused on the Greek debt crisis, another type of cash crunch has been going on in Latin America as well. Apart from Argentina, Brazil has also suffered a huge blow to its currency and capital flows, rendering bitcoin trades as an alternative form of investment. Brazil has benefitted from the boom in commodities last year and is currently paying the piper now that oil and gold have been dropping. To make things worse, political turmoil doesn’t seem to have subsided in the country yet, limiting the profit opportunities for the people there. According to data from Mercado Bitcoin, volumes of bitcoin trades have increased from $1.65 million to $2.6 million in the past few months, representing a monthly gain of around 158% across exchanges. Just last month, Mercado Bitcoin processed a total of $740,480 in bitcoin trades, accounting for 28.48% of the market share. 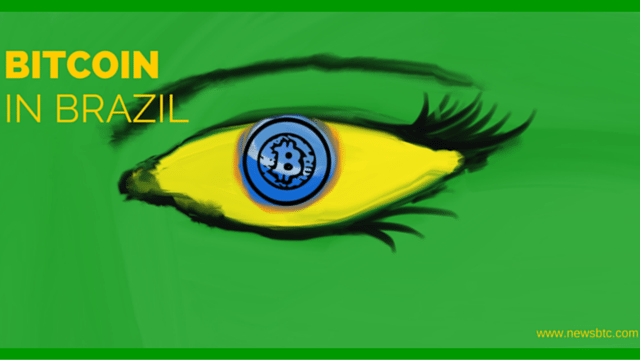 This surge in bitcoin volumes has taken place in Brazil despite the negative image of the cryptocurrency there. “The problem we have in Brazil is that the only news that becomes mainstream is the bad ones. Bitcoin has a bad reputation here but anyway the merchants are definitely being more opened to it,” BaseBit founder Daniel Novy told Bitcoin Magazine. Perhaps the increase in trading activity and bitcoin adoption has stemmed from the fact that majority of the population remains unbanked and that the official currency in Brazil, the real, has been continuously depreciating. Fiscal measures imposed by the government are limiting capital options and dampening the economic outlook, as tax hikes and entitlement cuts are weighing on spending activity. In addition, financial regulations in Brazil make it difficult to move the currency out of the country. Meanwhile, bitcoin offers more profitable options and served as a more cost-efficient way of moving funds around.